Meet Wise Intelligent Supreme God Allah. 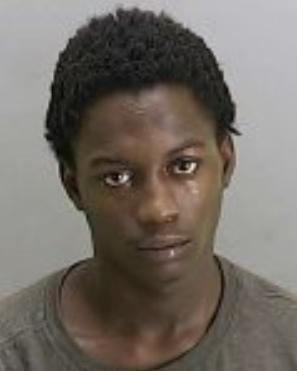 Belying his name, the 18-year-old Ohioan made the imprudent choice Thursday night to be carrying a loaded handgun while a passenger in a car traveling in Akron. During a police traffic stop, Allah was found with a Hi-Point .380 caliber handgun in the waistband of his pants. The Canton resident was arrested on felony weapons charges, according to Akron Municipal Court records. None of the four other occupants of the 2014 Kia were arrested during the stop, which occurred in front of a Taco Bell. An Akron Police Department report states that Allah and two women in the vehicle "has history of drugs and weapons." The accused pistolero--whose rap sheet includes a felony burglary conviction--was booked into the Summit County jail, where he remains locked up on $20,000 bond. According to court records, Allah’s residence is adjacent to a multi-county juvenile detention facility.